gpontherun | Running is not a hobby; it's a way of life. But, I managed to stick to the plan and felt pretty pleased with myself. During tennis I was curious to see if my energy levels would be down. It wasn’t a huge night but a reasonable time out on the court and I didn’t feel fatigued at any point. My tennis was rubbish, but I could hardly blame that on my diet! Sleep came relatively easy after a night playing tennis in the cold. The morning came and I woke up feeling a little hungry, but again not famished. On the down side, I was feeling a little flat with a bit of a headache and generally irritable. Jumping on the scales I had dropped half a kg so a total of 1.5kgs in 2 days – not too bad. Being almost halfway though my program, I figured I could ride out any ill effects as my body adjusted to the reduced nutrition. Maybe breakfast would make me feel better? I hadn’t finished the juice from the night before so started with that as the base of my juice – around 200ml worth – and added extra. After breakfast I got ready for work and well…. I just didn’t feel like I was firing on all cylinders. My headache wasn’t as bad and I didn’t feel hungry, so I just blamed the blues on residual effects of the cold I have just had and moved on. 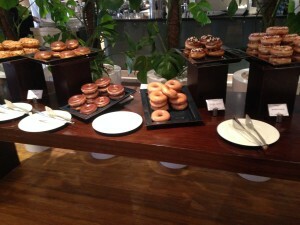 But I suspected that my body was rebelling a little at the strictness of the diet. Tomorrow could be interesting…. With a few meetings planned for the day I grabbed a coffee and reminded myself to try and drink more water. I cheated again for lunch and brought a pre-packaged vegetable soup that I could heat up where I was working. Getting back home I had some of my trusty soup ready to heat up. Feeling some hunger pangs I allowed myself a snack as a treat before dinner. Dinner satisfied my hunger and with my headache all but gone, I was feeling good about my diet again. Post dinner while watching the State of Origin game I settled down to a cup of tea and some fruit. Wondering what the morning’s weigh in will present..
Woohoo! Day 2 of the diet and I’ve dropped just over 1 kg since yesterday! Surprisingly, I didn’t wake feeling overly hungry and slept ok. I was imagining a restless night with reruns of Masterchef going through my head dreaming about food – but not the case. 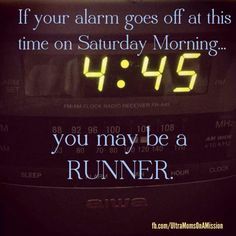 Given I am in training I needed to head out for a morning run to get some kms in the legs and increase my cardio fitness. Only a 5km outing as I am playing tennis with the boys from “C’mon” (our tennis team) tonight as part of the winter competition. Part of me was thinking that keeping to a strict diet and training would be a great way to accelerate weight loss, but the sensible side of me knows the importance of nutrition in training. So the morning juice needed to be a little higher in energy as did my total intake for the day which guided my plan. As with any of my juices I aim to use fresh produce but supplement with prepackaged frozen produce when fresh isn’t available. I would recommend to reduce the work of preparing the juice, and make it as palatable as possible, storing fruit in the fridge. Prepare some fruit and freeze it for convenience – especially fruit like bananas, pineapple and berries. With some of the vegetables that require preparation (carrots, celery, cucumber and the like) I’ll chop them in advance and store a few days worth in the fridge so they can be slammed into the Nutri-bullet for quick juicing. I had two thirds of the juice pre-run and then headed out. It was a very chilly winter morning and quite dark (see my picture taken at the start of the run at the top of this post). Whist I wasn’t pushing hard on the run, I did feel a little flat and suspected that the diet was having a negative impact on my energy levels – something to watch as I build to a bigger run on the weekend. Back in the house with a nice little run behind me I rehydrated with water, finished off my juice and had a coffee – ready to tackle the day ahead! After a shower, I did a little self analysis. How was I feeling? Am I hungry? Am I tired? Hungry? A little, bit – but not famished, so I figured that was a good sign. Feeling? Generally pretty good, although maybe a little light headed or like I needed a nap. Coming off a bad cold, I suspected that was a contributing factor. By late morning I was starting to get a bit peckish. So morning tea I decided to add a little more to my nutrition to get me through to lunch. The snack did the job! I had already decided I needed to have something substantial for lunch with a reasonably active day planned and decided that soup and maybe a juice before tennis would be the plan. For my soup, I cheated by buying a pre-packaged Corn with Split Peas soup – which was around 135 calories. As the day wore on I did notice that I was hungrier than normal. Not to the point of distraction or discomfort, but definitely noticing the impact of less nutrition. In the afternoon I had another small snack with my Matcha tea. If you haven’t discovered Matcha tea – check it out. Not only is it high in antioxidants, it is reported to contain a compound that has been studied by the scientific community as a potential fighter of obesity by regulating and sustaining hunger levels. Add to this claimed benefits of potentially regulating cancerous cell growth, angiogenesis, and metastasis. AND it is purported to aid in focus and clarity, increase alpha wave activity in the brain, as well as show improvements in episodic and working memory. For dinner – more of my ready made soup followed by a small Juice for a little bit of extra energy to get me through a night of tennis. I know it’s not Wimbledon or Roland Garos – but I still need to head out with the right prep! While playing tennis I consume around 600ml to a litre or water depending on how hot it is. Normally after a night of tennis we relax and socialise over a couple of beers and pizza. I’ll be missing out tonight – my post game supper will be more about recovery and rehydration as my shown below. Over the past 12 months or so I’ve been becoming more and more vegetarian oriented in my diet and choice of foods. I’ve all but cut out dairy, but will have small amounts either in cooking or desserts when taking it out is just too difficult for those preparing the meal. I’m not really vegetarian, more pescatarian, as I still eat seafood. All in all, I think I feel better for it and I find it easier to keep my weight in check. One thing I have found difficult at times, is creating meals that are both filling, tasty and provide the level of energy necessary to support training and help my body recover. So, from time to time I’ll share recipes I either discover, or create, that are healthy and tasty, just in case you are facing the same dilemma. Would love to hear some of your favourites too – please feel free to share on the this post or email me at gpontherun@gmail.com. Today I noticed we had some really nice salad ingredients in the fridge which inspired the following recipe. Combine all the ingredients in a bowl, mix to combine to ensure the dressing touches all ingredients. Serve and devour – either as a light meal or as a side for a main meal. Want to add some protein? I’d suggest smoked salmon strips or chunks of quality tuna. So why red rice you ask? Well, red rice looks good for starters, also, it’s really good for you. According to sources brown rice and red rice are quite similar when we talk about them on the nutritional front. They are both great sources of fibre, B vitamins, calcium, zinc and iron, manganese, selenium, magnesium and other nutrients. Another benefit that sets the red variety apart from its brown counterpart is it being enriched with antioxidants that can help fight damaging free radicals in your body. Red rice apparently gets its colour from an antioxidant called anthocyanins. This compound is believed to have properties that can reduce inflammation (good for runners), allergy, prevent risks of cancer and help in weight management. Along with calcium, magnesium helps in maintaining healthy bones and teeth, and prevents risks of arthritis and osteoporosis (both of which are life buddies of mine). I’m guessing you already know about the benefits of quinoa. As a naturally gluten-free grain it contains iron, B-vitamins, magnesium, phosphorus, potassium, calcium, vitamin E and fiber. It is also one of only a few plant foods that are considered a complete protein and comprised of all pernine essential amino acids. When you are more veggie than carnivore, quinoa is a great addition to the diet. You’ll note that the vegetables are all raw and therefore retain all their natural goodness. I’m sure you could a lot more to this recipe than I have and hope you do. I’m thinking some garlic, spinach and cashews…. Hmmm – will let you know how it turns out. Originally posted at http://www.thememoryjogger.com.au/running-off-the-jetlag/ on 3 Dec 2014. A very long flight with delays during the flight and the short stop over in Kuala Lumpur – perfect way to top off a flight delayed by a good hour at takeoff. If it was something I could control I would be annoyed – as it’s not, all I could do was try and catch some sleep between the occasional movie. Landing in Dubai the weather was a perfect 26 degrees. I arrived mid afternoon and caught a cab to the hotel. After a slow check-in, I was able to finally drop my bags in my room and call home before grabbing a shower. There’s not a lot that beats a hot shower after traveling for what seemed an eternity. 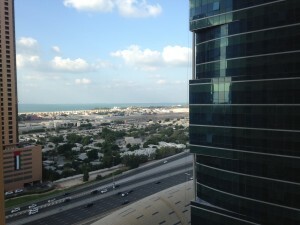 A room with a view – from my hotel room. A quick trip to the nearest supermarket for some essentials, bananas, water, juice and electrolyte drinks then back to the hotel. I had organised to catch up with a colleague of a friend of mine who works in a similar industry. Having only been in Dubai for five or so weeks, Kevin was the perfect person to get some advice for a new businessperson in town. We went to an English style pub for some fish and chips and a couple of pints. Despite the good company, the long flight and lack of sleep were starting to take their toll and I was ready to call it a night before too far into the evening. By 9pm Dubai time I was in bed and pushing zzzz’s. A slept solid and woke around 5:30am Dubai time. 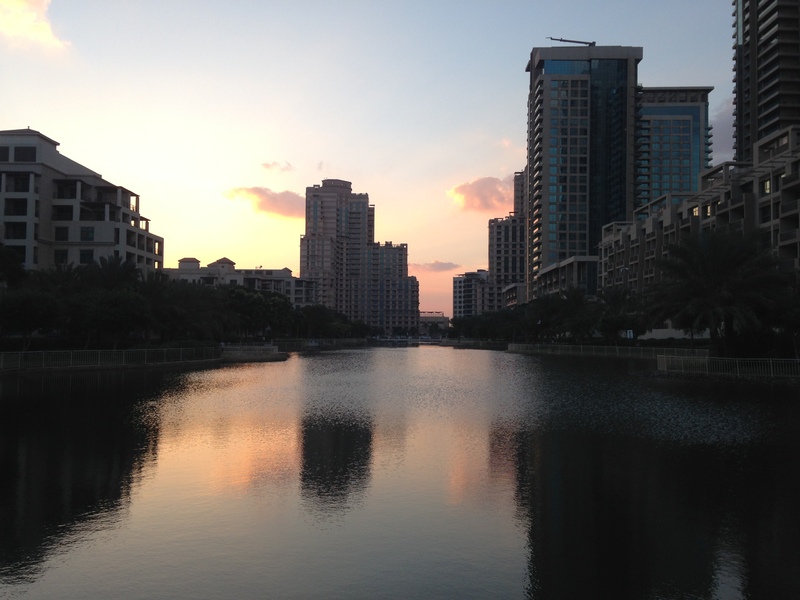 A quick call home, then I scoffed down a banana followed by a big drink of juice – on with the Hoka’s and out for a run to go exploring Dubai. Prior to heading over to Dubai I had conducted a few searches on-line to see if I could find any running circuits or routes that would be suitable for training. Most were pretty short, but as I was tapering for a marathon that wasn’t too big a problem – finding them, well that might be a challenge. One problem I quickly found was that the majority of roads in Dubai are not easy to cross by foot, except via designated overpasses or underpasses. Heading off along a major road I deviated a block away and before long I found myself in an area called The Greens that was a residential area with a fantastic footpath/track around a canal. One of the few footpaths that wasn’t sand. The view was fantastic and I quickly found myself with other runners trotting around a tree-lined path as the sun came up projecting reflections of the buildings on the glistening water (see the pic above). A couple of circuits added to my run to the track were enough to cover 5kms or so and work up a sweat as I blew away the jetlag cobwebs. What a lucky find. The best way to get the body back on track after a long journey, is to get out for a run! Running back to the hotel I reflected back on the last day or so. Only yesterday I was having dinner with Diane in Carlton, and this morning I’m running in the streets of Dubai. No matter how many times I travel (and I’m a pretty seasoned traveller) it always amazes me how, in less than a day, a person can be transported to the other side of the world into new cultures, languages and a way of life and be going about things as normal. It was only two generations or so ago that this would have been unimaginable. I remind myself again (and not for the first time) to take time out to appreciate the “now” and be thankful for the opportunities that have come my way #luckyboy . Even though the MDS is still many months away, being a little closer to Morocco got me thinking about the run and my training program. Sure the Singapore Marathon would be good for my conditioning, but there is a long way to go before I’ll be physically equipped to tackle the toughest footrace in the world. Today I enjoyed the run, but in the back of my mind, I’m thinking about what is ahead. Not exactly the breakfast of champions I’m sure! My work colleague Brendon offered to pick me up at 9am and head into the office for a full day of meetings and workshops. Given I had plenty of work to do, I went straight back to the hotel after work. A few calls back home and sort out some emails before trying to work out what to eat for dinner. By sheer chance I stumbled across a health food chain called Kcal and hopped into a Quinoa Veggie Burger, Steamed Veggies, a side salad and Sweet Banana Sushi. Delicious – wish they had one near home! 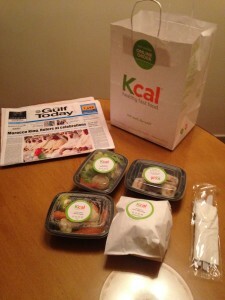 Kcal Dinner in Dubai – yumm!